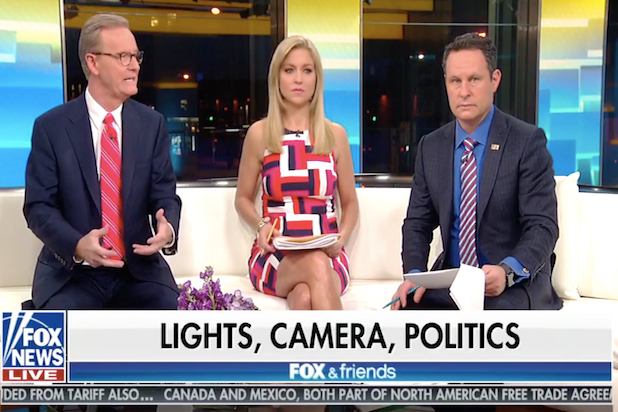 The set “Fox & Friends” offered a robust defense of former National Security adviser Michael Flynn, questioning the possibility he might be charged for violating the Logan Act, which criminalizes unauthorized individuals from negotiating with foreign governments. On Monday, host Brian Kilmeade cited Jane Fonda’s infamous support for North Vietnam during the Vietnam War and asked why she was never arrested for Logan Act violations. Kilmeade’s line is reference to Fonda’s opposition to the Vietnam War, which included a well-publicized two week visit to North Vietnam in 1972. While there, Fonda made regular broadcasts on North Vietnamese radio and sat for photos on top of an anti-aircraft gun. Critics dubbed her with the nickname “Hanoi Jane,” which continues to dog the actress to this day. Last December, Flynn pleaded guilty to charges of lying to the FBI and offered his full cooperation with Special Counsel Robert Mueller’s probe into potential collusion between Russia and the Trump presidential campaign. Last week, he asked for lenience from a sentencing judge, citing his cooperation and a recommendation from Mueller’s team that he be spared jail time as a reward for his good behavior. Flynn lasted just 24 days on the job before he was fired, officially for lying to the vice president. 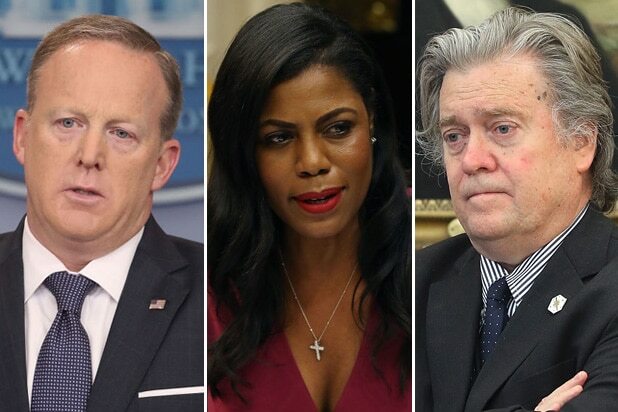 His brief tenure, however, was also plagued by scandal including questions about his ties to Russia and conversations with then-Russian ambassador Sergey Kislyak. It was also revealed that he worked as a paid lobbyist for the government of Turkey while serving in the White House.